During an exclusive interview with Reality TV World on Thursday, Joe talked about his Survivor experience. Below is the second portion of three parts. Reality TV World: After JP went home, do you think Chrissy would've been the main target instead of you had she not won the next Individual Immunity Challenge? Because the editing made it seem that way. 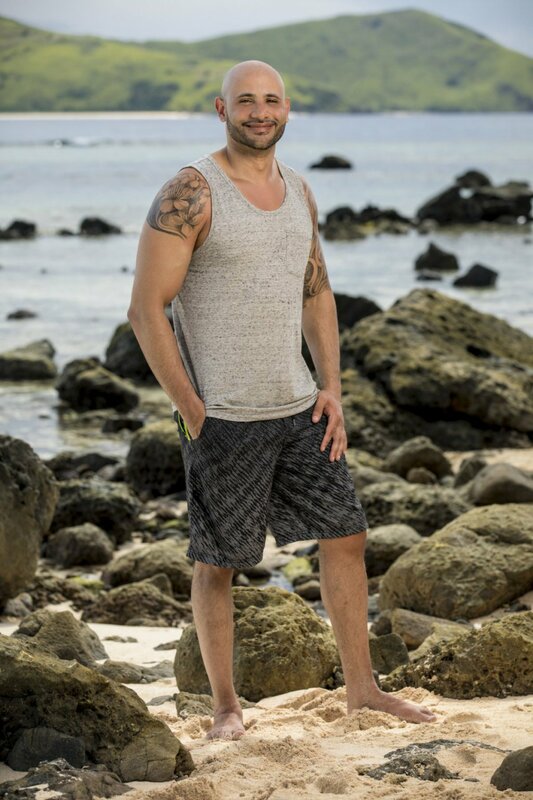 Joe Mena: You know what's funny was I told the producers that day, I was like, "I'm praying -- I'm literally praying that Chrissy wins Individual Immunity so that we can go after [Ben Driebergen]." Because I kept bringing Ben's name up and they were just like, "Noo, it's not time yet." So I was kind of suspicious. So I'm like, "Alright, well, Ben has to be on the chopping block if Chrissy wins immunity." So I prayed, and she won, and I was really excited when I got back to camp. I was like, "Yeah, we're going for Ben!" And yeah, I think if she lost, Ben and I would've put our differences aside and went after Chrissy, yeah. So good for her, you know! Reality TV World: When did you find out Ben was playing "secret agent" and lying about being an outsider and what was your reaction? Were you a little embarrassed or frustrated that you bought their little act? Joe Mena: No, I mean, I'm still waiting for Ben to invite me to the Oscars so he could receive his award, because that was amazing. I had no idea. I underestimated the relationship he had with [Lauren Rimmer] and [Devon Pinto]. I thought Devon was a smarter player and would not keep Ben around. I just really thought that Ben was going to go home. I mean, he had too many outs. He was a strong player. So kudos to Ben, because I had no idea that he was playing a secret agent. I didn't think anyone was stupid enough in the game of Survivor to allow strong players to flip flop between alliances and give them the right away, like, "Go ahead, Ben. Be part of both alliances," and promote them. I just never really thought that someone would allow another player to do that, so yeah, that was great on their end. I never thought that was going to happen. Reality TV World: Had you known Ben was actually working with your group -- Lauren, Devon and Ashley -- how would that have changed your mindset towards your supposed allies and the position you held in the game? Joe Mena: Well, first of all, they weren't really my allies. I was clearly aware that they just needed Mike and I for votes, so I get that. But if they told me about Ben, I don't know! Something tells me -- I mean, I was already kind of working Ryan, like, "Hey, Ryan, let's work together. Let's do something." Because ideally, I wanted to flip flop, like, take JP out and then take Devon. And then I'm taking Ben and I'd be kind of flip flopping. So, I think I would've pulled the trigger. Ryan and I, we wanted to work together. We just unfortunately didn't pull the trigger early enough. Reality TV World: Looking back on your final days of Survivor, were there signs or red flags you ignored that told you Ben was truly working with Devon, Ashley and Lauren? Do you think you missed anything there? Joe Mena: Well, I mean, a few things. You know, Lauren chose him for the Reward. She chose him there, and then Ashley, Devon, Ben and I won a Reward together and they were communicating a lot. Ben spent a lot of time with Ashley and Devon. But I really gave people the benefit of the doubt, and I think I overestimated their gameplay, and I just thought that, you know, they would see Ben as a threat. He had too many outs. He's playing hard. So I just assumed they were going to take him out. So there was enough -- I was just blinded, honestly. I was like, "These guys need to start playing. They need to take Ben out." So I definitely overestimated their gameplay. Reality TV World: It sounds like you were definitely surprised then that Devon and his group didn't take out Ben when they had the chance. So do you think they made a mistake in taking you out first? Because I know you thought you were also a threat in this game. Joe Mena: Umm, ugh, Ben, in his position, was a bigger threat obviously. He had several ties. He had the "Yawa" ties with Mike and Lauren, he had the Hero ties with Ashley and Chrissy, and then he had two jury members that were under the impression that he was in control when they were eliminated -- which was [Desi Williams] and [Cole Medders]. So, to me, I felt like he was in a very powerful position, and it was something that I advocated for. I informed everybody, like, "Listen, Desi and Cole are part of the jury, and they think Ben is running this right now. So he has two votes. We need to get rid of him now, because you're not going to beat him at Final 3. He has a story and that comes into play." So yeah, I felt like he was a bigger threat and they were going to go after him. Reality TV World: Ben found a hidden Immunity Idol in last night's episode, and the rock with the clue on it was pretty exposed. Did you get to a point where you just stopped looking for idols, or did you just never wander around that same area Ben was in? Joe Mena: Well, if I tell you, you are going to be like, "Joe, you are an idiot!" So I would literally take a sh-t there every day. Literally every day, I took a sh-t there. And I would tell everybody. It was clockwork. I went and used the bathroom every day. And I would go to that particular area for several reasons: One, I had to take a sh-t. But second, I felt like something was there. When I found the last two clues, both of them were on a tree obviously, but they were located in the rocky, mountainous areas of the island. And that was the only part of that island that had, like, rocks. So, at the merge, the first place I went to, once I discovered that, was there. So I'm like, "Something had to be here at some point." So the day that he found that idol, I took a sh-t there, and I looked! And I must have [missed it]. I didn't see it. And in addition to that, the coconuts -- the reason why we named each other "The Coconuts" was Mike and I would always look for coconuts. We would walk around -- and obviously Ryan and the rest of the tribe would kind of follow us, mostly Ryan, to make sure that we didn't find an idol -- Mike and I would walk around with a stick and knock coconuts down from trees. So I didn't just miss the clue, I also missed probably the vase that was in the tree, because I was knocking down coconuts from left to right for at least six to eight days. So that idol was not present for me at all, and kudos to Ben, I guess, for coming across it! He wasn't even looking. To read the first portion of Reality TV World's exclusive Survivor interview with Joe, click here. And be sure to check back with us soon for the rest.